The "MetaStock data" format was developed from the original "Computrac" data format, back in the mid-1980s. It became known as "MetaStock format data" through its association with the then popular MetaStock™ Software. 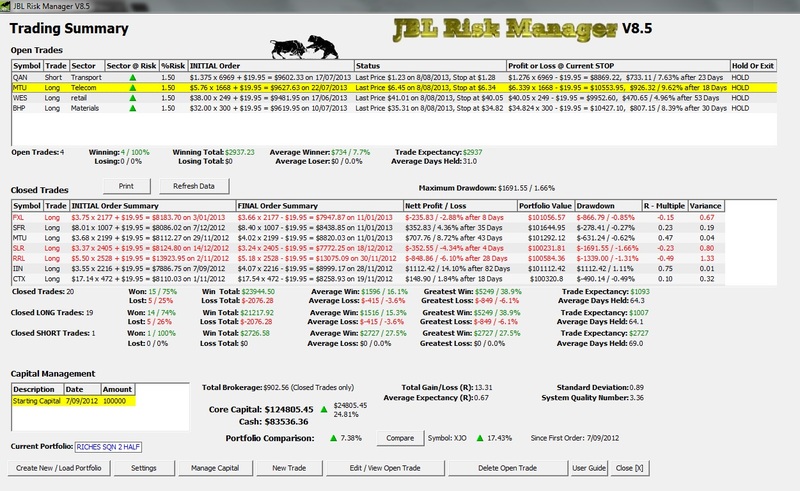 Over time other stock market programs such as Amibroker, Advanced Get, Tradestation, Omnitrader,etc. were developed to integrate with this data format. 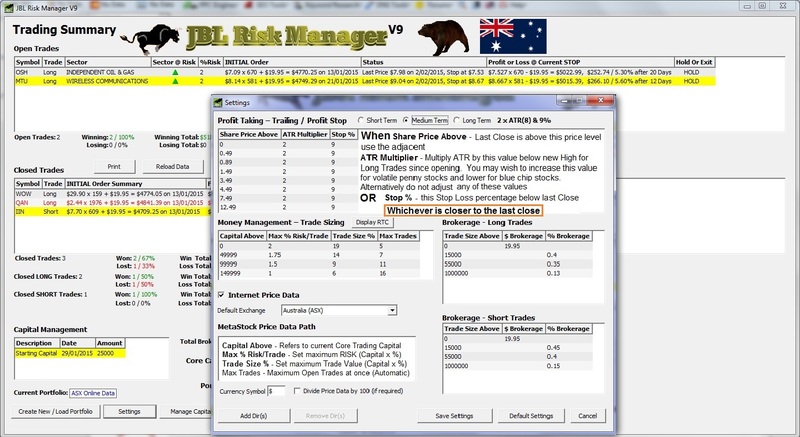 Independent resellers of stockmarket data use this format to deliver data to traders worldwide. The "Metastock format data" download became known as the industry standard. -Thank you again Joseph and I can now put your excellent program to work on my stock lists. Just for your info, from time to time a course member has asked -if I have a recommended money-management approach. Over the years I haven't made any recommendations in that regard. -After experimenting with JBLRM it has shown excellent potential, and is well worth the investment. I'll be more than happy to refer your program to my course members & others. Overall it’s a winner Joseph! 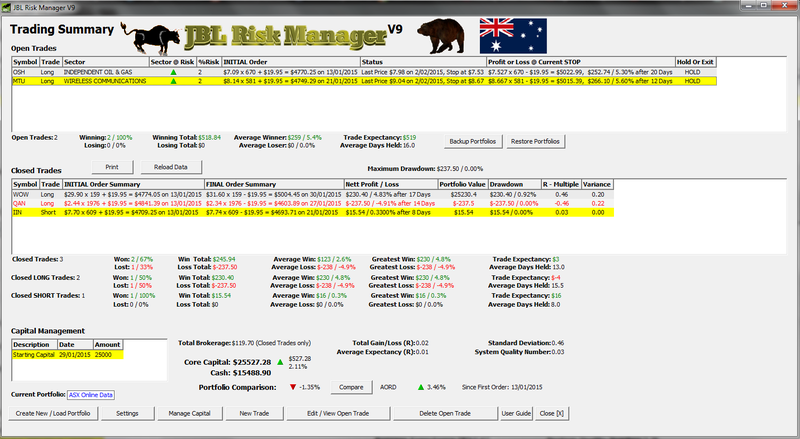 For someone who appreciates the importance of capital and risk management, position sizing and win/loss ratios, expectancy etc, this program is a must. We encourage you to download this FREE fully functional 14 day trial and try it for yourself. When satisfied, simply enter the unique TRN - Trial Registration No. displayed in trial window into box below and click "ORDER NOW" and complete your order by either PayPal, MasterCard or Visa. We will promptly send you simple instructions to remove trial. Stress FREE share trading using correct Money Risk Management principles, makes more sense! To order FIRST Download your FREE 14 day fully functional trial, ENTER Trial Registration No. into box below then click ORDER NOW graphic below right. If comfortable please try and order prior to expiry. RUN with the BULLS and HUNT with the BEARS!